Being an AP English student and an advocate for the role of English classes in education, it is seemingly antithetical for me to say that I dislike drafting. Drafting is held in high regard in any if not all mediums of art, but what I specifically dislike is English drafting, the kind typical of English classes. This thin ice that I am treading by stating my distaste for drafting is the essence of me as a writer. So why do I dislike drafting? It is not simply because I do not enjoy rewriting an essay or paragraph I’ve already written, but rather because it disrupts how I perceive writing. Writing, like many other mediums, is an art in and of itself. For me, in the moment in which an artist creates, draws, writes something as his or her own, that piece is declared as finished. The hours I spend mulling over which words to use and where to utilize them are for a purpose; every part of my writing is deliberate. And to finish writing an essay, a script, a blog post means that my art is complete. This is where drafting and I don’t see eye to eye. Drafting as I have been taught, encourages writers or artists to simply write anything and everything on their mind; my English teacher aptly names this process “zero drafting,” or the draft before the first draft. This conflicts with how I write. Because of how meticulous and calculated writing is to me, I do not wish to show the reader I simply have ideas. Rather, I want to express that the idea I have is thought-provoking and important to me. So what many perceive as my first draft is actually my final draft, my published blog post. And what others see as me building a second draft is me only refining the piece I have made, not sketching it out again. I’m not against developing a work of art, writing, film. 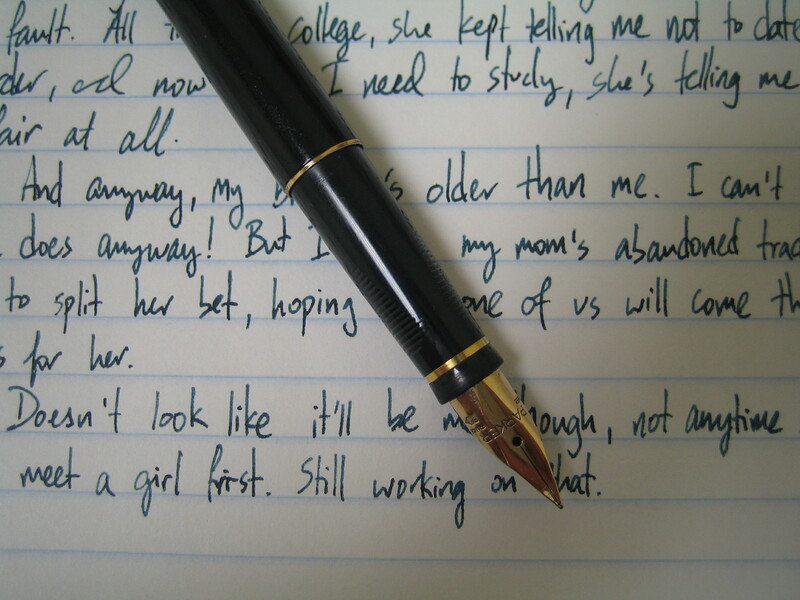 Without changes, my writing would be very crude, raw. But I am against the idea of reconstructing. I guess you could say I draft as I write. From the first word to the last paragraph, I am constantly editing, rearranging; by the end, I have a product I call my own, and to call it a draft would be to consider it unfinished.